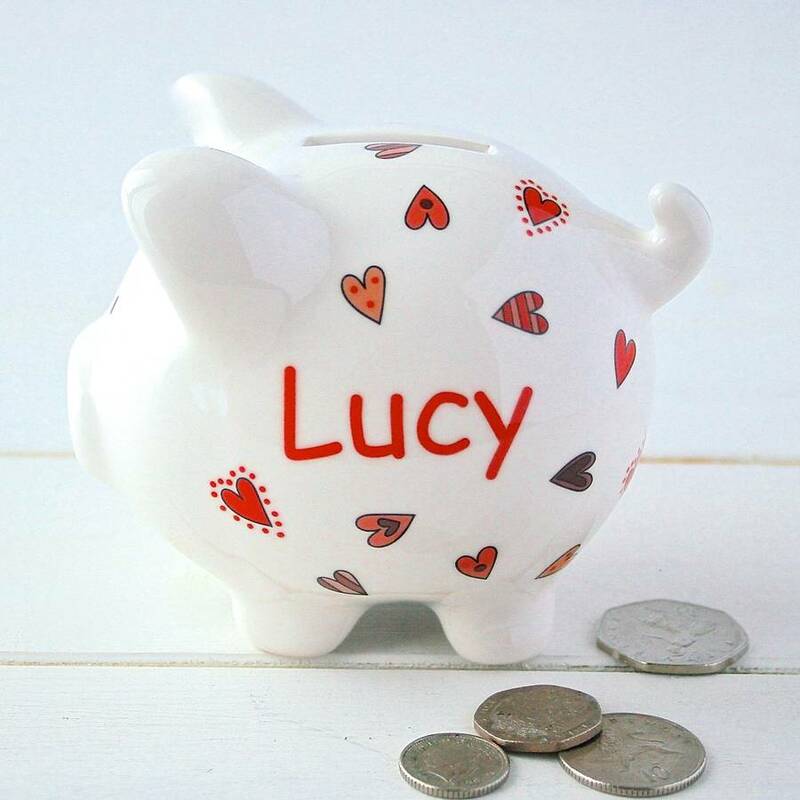 These beautiful hand made, personalised ceramic piggy banks are available in a range of fabulous designs and are perfect for a range of occasions. 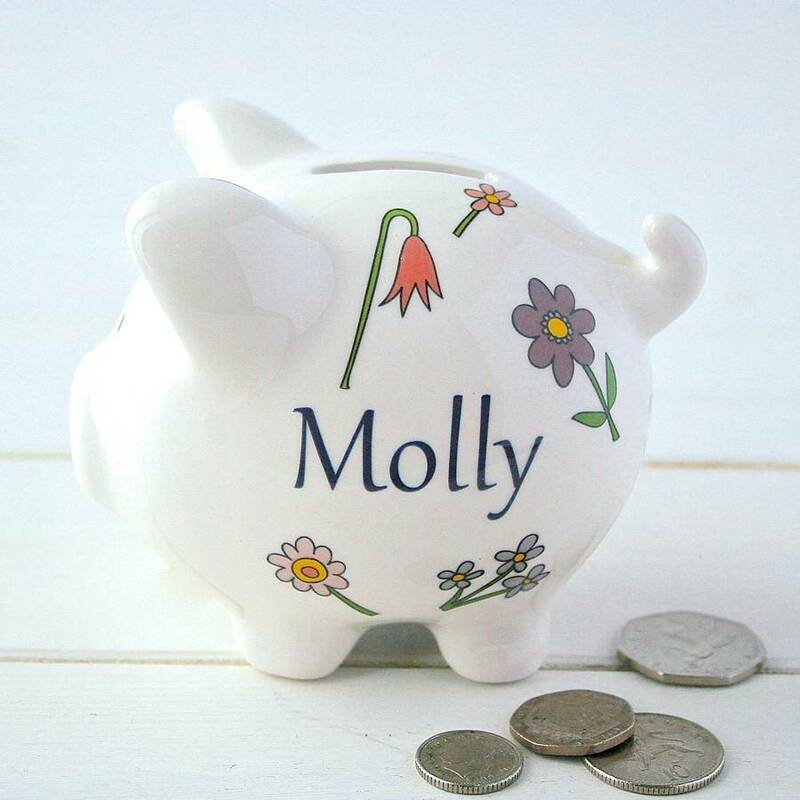 These stunning ceramic piggy banks make an ideal gift for many special family occasions. 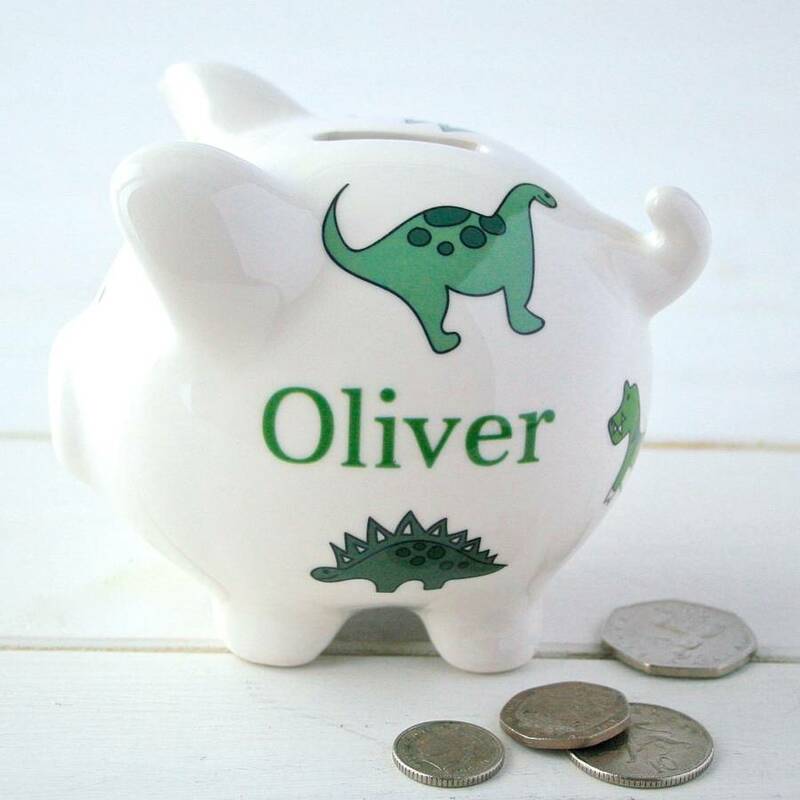 In a range of gorgeous designs, they are especially well suited as gifts for new babies, gifts for christenings and birthdays. 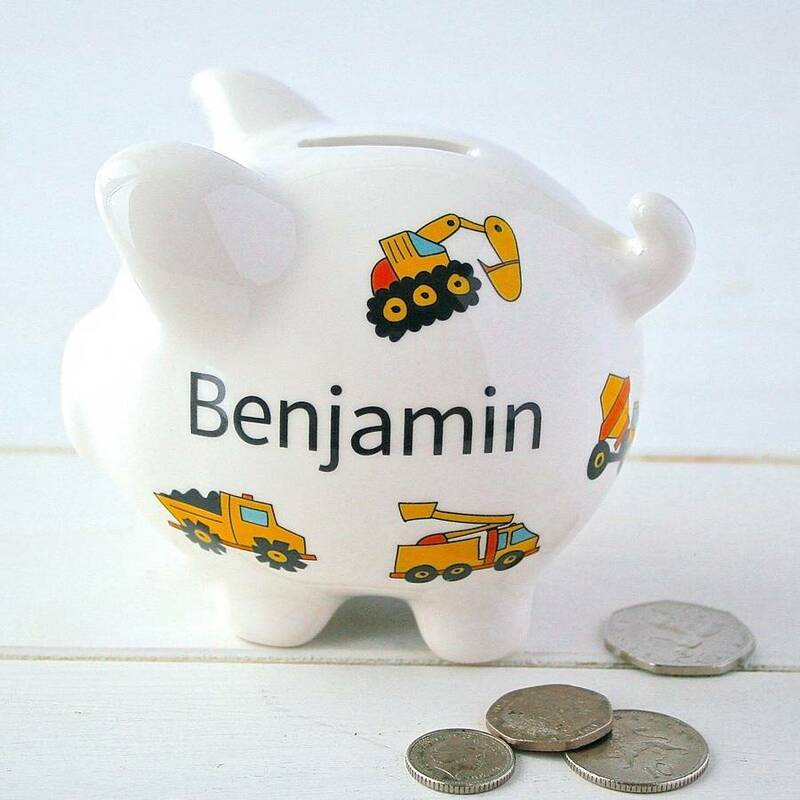 If you're looking for unique thank you gifts for bridesmaids and page boys, look no further than these! 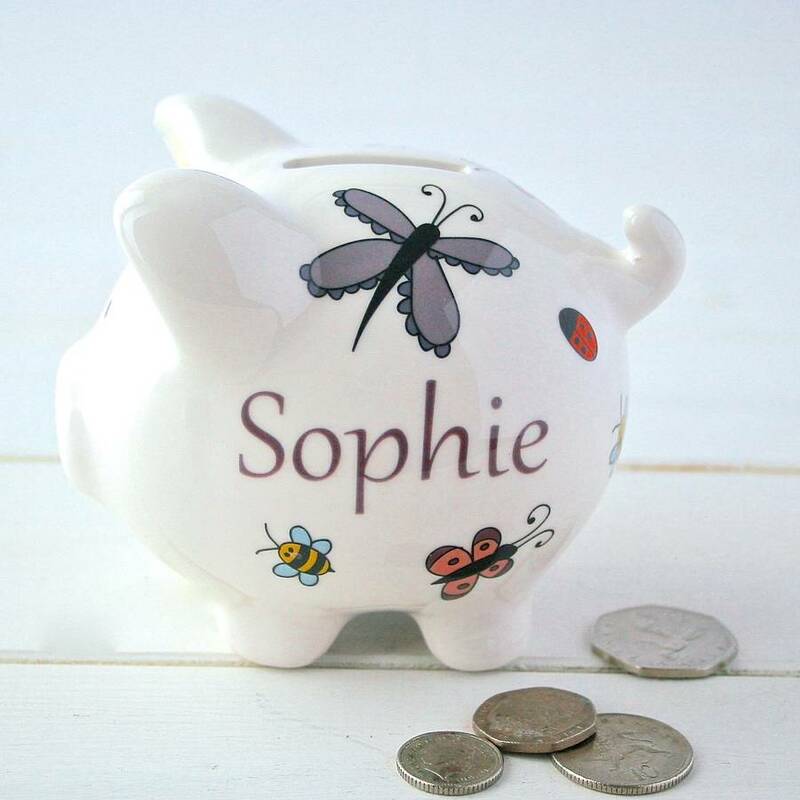 One of our personalised ceramic piggy banks makes the perfect addition to any child's room to encourage them to save their pennies. 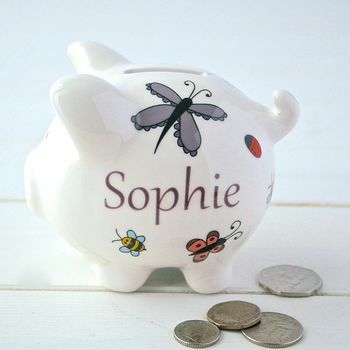 The piggy banks can be personalised with a name on one side and a short message or date on the other if you wish - you can see examples of this in our images above. The message on the reverse can be over three lines, with a maximum of twenty five characters per line. 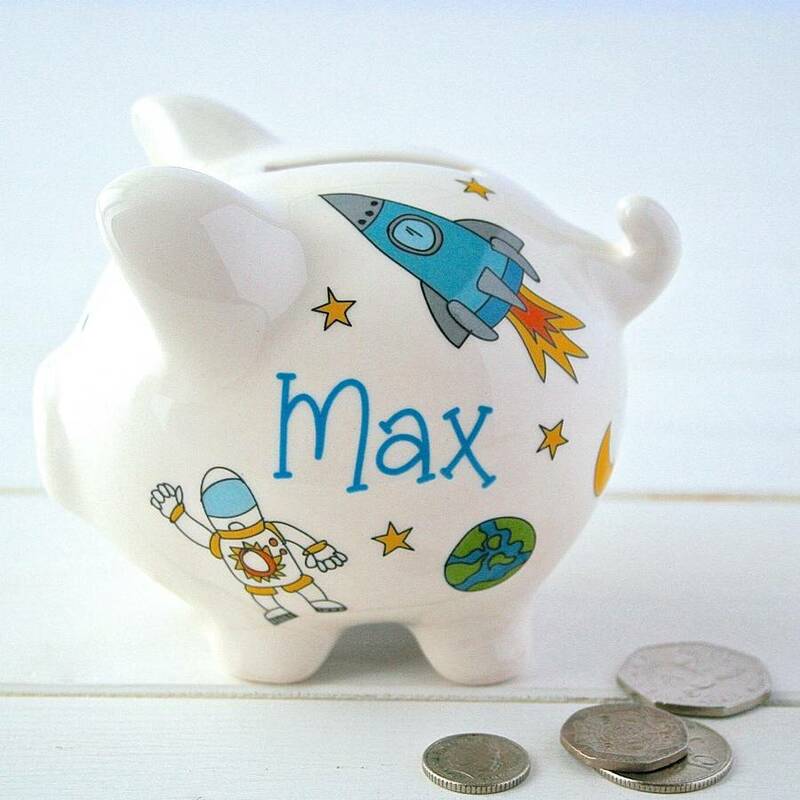 They have a rubber stopper at the bottom which can be easily removed to acccess the pennies inside and are available in three sizes. 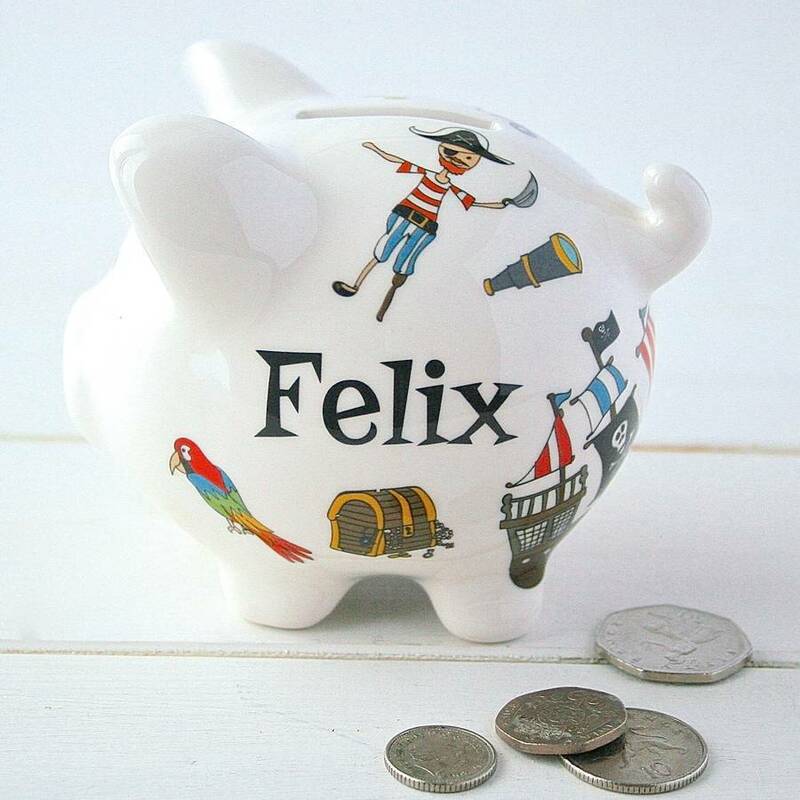 The piggies are available in a number of different designs - Please have a look at our 'piggy banks for girls' and piggy banks for boys' to see even more design choices. Also click on 'see sellers complete range' to view all our lovely things. The piggies are made from earthenware ceramic. They designs are applied by hand, they are then glazed and kiln fired.